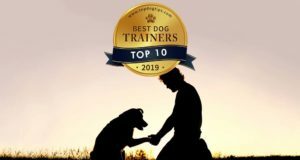 At times, it feels impossible to keep up to date with all the things we can or even must do to ensure the health of our dogs. With these “to do lists” getting longer, things get really confusing real fast. Most dog owners have heard of probiotics and the benefits they provide for our pets, but what about prebiotics? Here's what you should know about prebiotics for dogs. The first question that leaves dog owners scratching their heads is the difference between probiotics and prebiotics. The general public has long understood probiotic supplements as providing beneficial bacteria that improves the dog's health in several ways. This has been scientifically (study, study, study, study) confirmed and the supplements are now often recommended by veterinarians. Prebiotics for dogs are much less known, and the similarity of the term (the one letter difference) doesn't help the matter either. Here's the difference in short. Probiotics – live microorganisms; it's bacteria, the good/beneficial one. Prebiotics – fiber (carbohydrate) that feeds the good bacteria in the gut. Essentially, probiotics introduce good bacteria into the dog's gut, and prebiotics act as a fertilizer for the good bacteria that’s already there. As you can see, the two are closely related but are separate things and have completely different purposes. Because of what they are (fiber) and how easy it is to include them in the diet, prebiotics were actually used in pet foods for decades, whether intentionally or not. Probiotics, on the other hand, aren't that easy to include in the diet, mostly because it's live bacteria, and it needs cold temperatures to survive. In fact, while some pet food labels claim to contain probiotics in them, it's unlikely those have any effect (study). To better understand prebiotics for dogs and their effect, we must first understand probiotics and their use. Storage is crucial – while there are probiotics that do not need to be refrigerated, evidence shows very low potency of those supplements. This means that all effective probiotics must contain live bacteria (like Bacillus coagulans, Biffidus spp. Acidophilus and others) which needs to be refrigerated. Proper maintenance of dog's microbiota is crucial (study). Studies show that probiotics as the result of improving gut flora boost the immune system in the digestive tract and body, helping your dog fight off diseases, strengthening the immune system and protecting him from a variety of dangerous viruses like E.coli and more. They can also help your dog get over many digestive upsets, bouts of diarrhea, colitis/IBD and so on. For probiotics to have an effect, they must be given in the form of a supplement. Dog food with probiotics will not have any effect. There are several reasons for that: (a) a large number of bacteria is required to have an effect, and concentration of bacteria in dog food is nowhere near the minimum amount needed; (b) live cultures must be alive to have any effect, which means they must always be refrigerated – warm room temperatures will kill the bacteria, rendering the probiotic supplement useless. With this out of the way, we can now examine prebiotics for dogs and how they can benefit your dog, why you should or shouldn't give them, and how they can be administered for the most effectiveness. Prebiotics are fiber, meaning that it's various types of non-digestible food ingredients that nourish the probiotic bacteria that is found naturally in your dog's gut and intestine, or added via probiotic supplements, as discussed above. Prebiotics, whether given through food or supplements, keep the good probiotic bacteria active and selectively stimulates the growth and activity of a number of bacteria in your dog's colon and improves your pet's overall health in many ways (meta-review study). The food ingredients travel undigested to the colon where they ferment and are converted to short-chain fatty acids (SCFAs). These SCFAs inhibit the growth of harmful bacteria and promote and support healthy digestive flora in dogs. It also acts as a source of energy for colon cells and preserve the electrolyte and fluid balance that allows your dog's intestine to work properly. Because prebiotics are simply a type of fiber (carbohydrate), they are already included in dog foods and other food sources that are known to contain soluble fiber, such as legumes, whole grains, fruits and vegetables. Beet pulp is another well-known prebiotic (commonly used in dog food) but care should be taken as some dogs don't process beet pulp well. This may cause bloating, nausea and flatulence. Raw garlic (toxic to dogs in large amounts) and dandelion greens are good sources of prebiotics. Unlike probiotics which, according to mentioned studies, have little to no effect when included in dog foods, prebiotics for dogs can have the exact same positive effect whether they're given through pet food, homemade food or in the form of prebiotic supplement. The only thing that matters is the amount of prebiotics given. Studies show that dogs fed prebiotics regularly are less likely to get diarrhea caused by the overgrowth of bad bacteria (study). When fed to females during pregnancy and lactation, prebiotics will provide enhanced immune protection to the puppies through the colostrum and milk, and in turn the puppies will have an enhanced response to vaccines. For dogs with immuno-suppression or digestive disorders, and for all dogs on a course of antibiotics, prebiotics is definitely of extra value. It's important to note that probiotics and prebiotics for dogs form a perfect couple when it comes to improving your canine's digestive system and overall health. This symbiotic relationship means the two are working together as closely as they possibly can while spreading and feeding the good bacteria in the dog's gut. Often, it's good to give both to maintain your dog's proper digestive health when you think your pooch needs them. That said, this is not a hard rule, and sometimes, it's better to skip the prebiotics and stick only with probiotics, and I'll talk about this more below. Where probiotics are fragile and easily destroyed in your dog’s gut, prebiotics are much sturdier because they're not actually live organisms with a set of requirements to survive. Pairing the two may give a better chance for probiotics to survive and actually have some positive effect on the dog's microbiota. A dog's digestive tract is responsible for about 70 percent of its immune system. This is why many veterinarians often recommend using both probiotics and prebiotics for dogs to ensure maximum benefit. One of the downsides of probiotic supplementation with prebiotics for dogs is that every pet's digestive tract is completely unique and it is a delicate and finely balanced environment. This means we can't be 100% sure which probiotic, followed by prebiotic as fertilizer, to supplement with in order to get the desired effect. There are hundreds of different species of bacteria in your dog's gut. It is also good to remember that the heat and stomach acid can kill probiotics, rendering them ineffective even before digested (study). When the probiotic actually makes it into your dog's gut, the micro-organisms aren't able to effectively produce for long periods of time. This means if your dog has a chronic condition, it's possible that probiotic supplementation will be needed long-term to reap the maximum benefits. 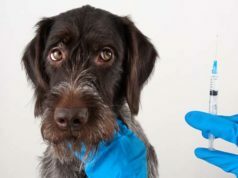 The reason I mention this is because while there's a lot of praise for giving probiotics and pairing them with prebiotics for dogs, we must still remain somewhat skeptical until better evidence emerges. They're not a cure-all supplement, and there are also risks of overfeeding your canine on probiotics and prebiotic supplements. It's best to consult with a veterinarian who closely follows scientific evidence on this particular subject. Based on one meta-review study where evidence for the use of prebiotics for dogs was examined, it's clear that we still don't understand the use of this supplement in pets well-enough (study). However, while we do see some benefits, there are also reasons when prebiotics for dogs should be avoided. In particular, prebiotics can be a bad idea for dogs with gastric intestinal issues. This may be confusing because probiotics have been shown in studies to improve this condition, yet in theory, it's possible that prebiotics can aggravate certain GI related conditions. Vets say many pets today have conditions like IBD, IBS, leaky gut, small intestinal bacterial overgrowth (SIBO) and other issues. The good-to-bad bacteria ratio in their gut is not in a “positive” state, and the last thing you want to do is feed pathogenic bacteria with prebiotics, since it would make the condition worse. This is based on theory and we haven't seen evidence proving one way or the other, but it would make sense. Prebiotic-rich foods that are high in fiber may not be every pooch's favorite snack. Not only do many dogs find these foods unappetizing, they are also hard to come by in the average grocery store. Those who are, however, lucky enough to easily find it and their dogs enjoy eating it, the amount needed to satisfy the daily requirements are usually too high, meaning your dog must eat mountains and mountains of say, beet pulp, to get the health benefits of prebiotics. One all-natural plant-based prebiotic supplement can make your life easier. There are several brands of prebiotic supplements for dogs, and it's best that you consult with a veterinarian and read customer reviews to see what's a good fit for your pooch and which ones contain the highest amount of prebiotics without any unnecessary fillers. VetriScience is a popular dog probiotic supplement that contains prebiotics as well, and is well-reviewed by other pet owners. It has both Fructo-Oligosaccharides (prebiotic) and inulin (soluble dietary fibre), and is a low-calorie, easy way to add the suitable amount to your dog's diet. Fructo-Oligosaccharides work because your pet's body can't digest them. They travel down the digestive system undigested until they are fermented in the large intestine and act to selectively increase the ratio of good bacteria to bad bacteria. The molecules that are produced by the fermentation process create an environment that is very healthy for good bacteria. In general, first make sure that your dog really needs the supplement, whether probiotics alone, or paired with prebiotics. Doing your own due dilligence on prebiotics for dogs, and then consulting with a veterinarian is the best course of action. Don't buy any supplements unless you're absolutely sure your pooch could benefit from them. READ NEXT: What are the Best Probiotics For Dogs and Do Our Pets Need Them?